High yields are a measure of good growing conditions, but it does not take into consideration the inherent productivity of soil. Yield deviations from trend consider an area’s productivity. 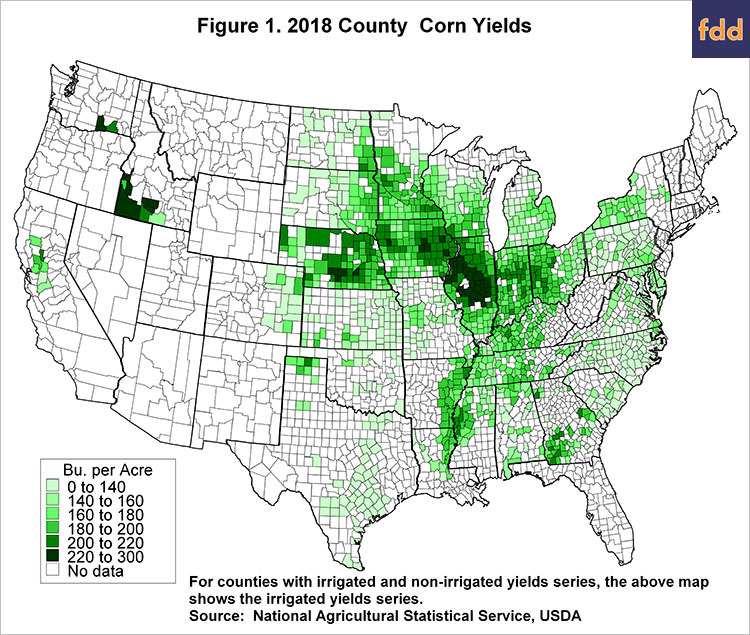 For each county, a 2018 trend yield was calculated using linear regression to fit a straight line through actual county yields from 1972 to 2017. The straight line then was extended to give the 2018 trend yield which represents the expected yield given approximately average growing conditions. A yield deviation then equals the actual yield minus the trend yield. A yield deviation of 20 bushels per acre means the actual 2018 yield is 20 bushels higher than the trend yield, an indicator of a very good yield. 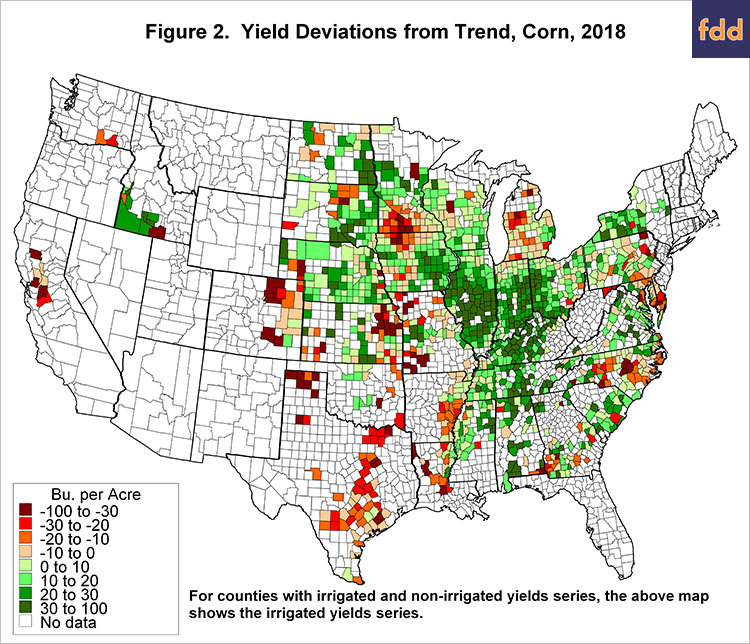 Conversely, a -20 yield deviation indicates that the county yield is 20 bushels below the trend yield, an indicator of poor growing conditions. Similar to corn, soybeans almost had a record-breaking yield. The average U.S. soybean yield for 2018 was 51.6 bushels per acre, .3 bushels below the record yield set in 2016 of 51.9 bushels per acre. 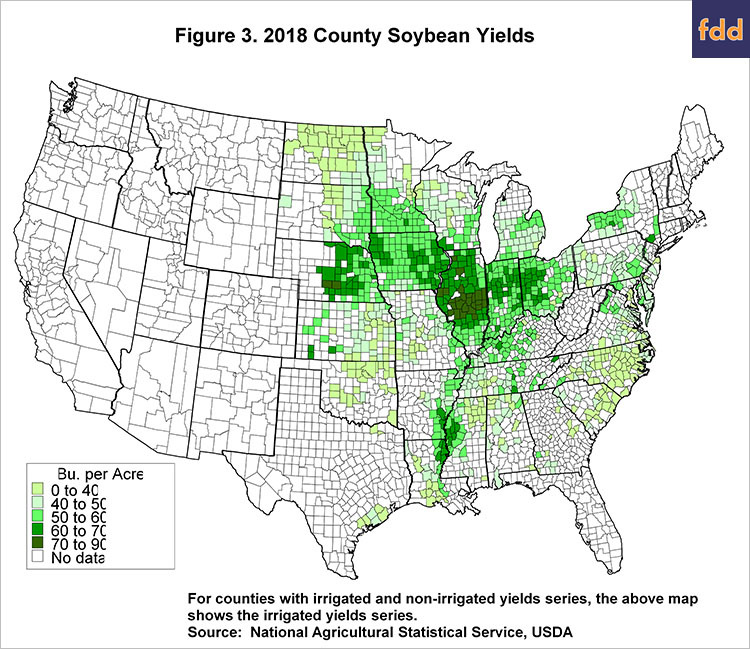 The U.S. had near-record yields for corn and soybeans in 2018. 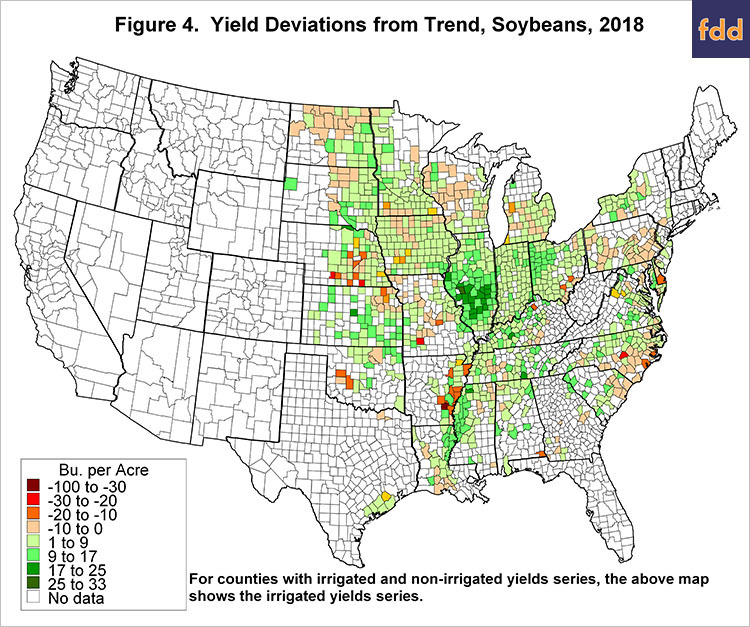 Above-trend yields in central and southern Illinois, central and southern Indiana, western Ohio, Kentucky, and Tennessee where large contributors to the near-record U.S. yields.